A few years ago I was transcribing my grandmother's journal (she passed away when I was 13) and I found this cartoon stuck in it. 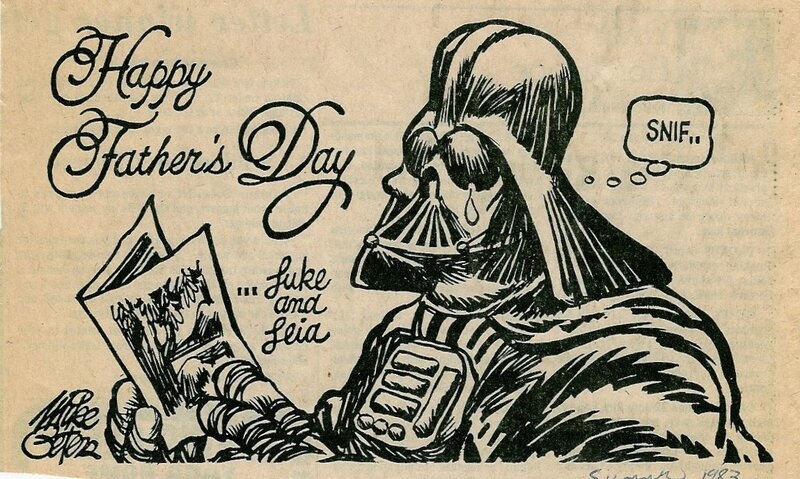 I'm not a huge Star Wars fan but for some reason I love this cartoon. I think it is because it just seems to sum up my Grandpa so well-- he was a big Star Trek and Star Wars "nerd" and I remember his library being full of memorabilia . I just thought I'd share it and wish all the wonderful men in my life a Happy Father's Day! Oh, that made me chuckle! Lol. Too funny. So Vader had parental feelings too, eh?